Dolce & Gabbana Perfume Collection. All New Perfumes at Low Prices. Dolce & Gabbana. Discover the Dolce & Gabbana Perfume Catalogue. Online Sale at Discounted Prices. Dolce & Gabbana. Discover the Dolce & Gabbana Perfume Catalogue. New Collection Online Sale at Discounted Prices. 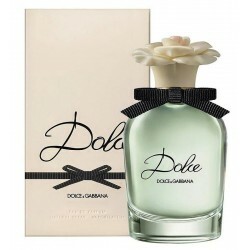 Buy Dolce & Gabbana watches and jewelry, you can find many products of this brand on Crivelli Shopping, such as Dolce & Gabbana Dolce Perfume for Women Eau de Parfum EDP Vapo 30 ml, Dolce & Gabbana Dolce Perfume for Women Eau de Parfum EDP Vapo 50 ml, Dolce & Gabbana Dolce Perfume for Women Eau de Parfum EDP Vapo 75 ml, Dolce & Gabbana Intense Perfume for Women Eau de Parfum EDP Vapo 25 ml, Dolce & Gabbana Light Blue Perfume for Women Eau de Toilette EDT Vapo 25 ml, Dolce & Gabbana Light Blue Perfume for Men Eau de Toilette EDT Vapo 125 ml, Dolce & Gabbana Light Blue Perfume for Men Eau de Toilette EDT Vapo 40 ml, Dolce & Gabbana Light Blue Perfume for Men Eau de Toilette EDT Vapo 75 ml, Dolce & Gabbana Perfume for Men Eau de Toilette EDT Vapo 75 ml. Search our Dolce & Gabbana offers at the lowest price on the web and buy online. The jewelry and watches from the best brands can only be found on . Dolce & Gabbana 3 L'Imperatrice Perfume for Women Eau de Toilette EDT Vapo 100 ml is an exclusive Dolce & Gabbana product. Buy Perfumes Dolce & Gabbana online at the best price. Dolce & Gabbana 3 L'Imperatrice Perfume for Women Eau de Toilette EDT Vapo 100 ml is selected according to new trends and high quality standards. 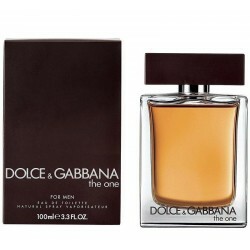 Buy among the many novelties and opportunities you find in the category Dolce & Gabbana Perfumes. Discover Dolce & Gabbana 3 L..
Dolce & Gabbana Dolce Perfume for Women Eau de Parfum EDP Vapo 30 ml is an exclusive Dolce & Gabbana product.It's selected according to new trends and high quality standards.Buy among the many novelties and opportunities you find in the category Dolce & Gabbana Perfumes.Discover Dolce & Gabbana Dolce Perfume for Women Eau de Parfum EDP Vapo 30 mland lots of new offers of eau de parfum and eau de toilette chosen for ..
Dolce & Gabbana Dolce Perfume for Women Eau de Parfum EDP Vapo 50 ml is an exclusive Dolce & Gabbana product.It's selected according to new trends and high quality standards.Buy among the many novelties and opportunities you find in the category Dolce & Gabbana Perfumes.Discover Dolce & Gabbana Dolce Perfume for Women Eau de Parfum EDP Vapo 50 mland lots of new offers of eau de parfum and eau de toilette chosen for ..
Dolce & Gabbana Dolce Perfume for Women Eau de Parfum EDP Vapo 75 ml is an exclusive Dolce & Gabbana product. 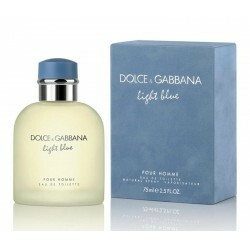 Buy Perfumes Dolce & Gabbana online at the best price. Dolce & Gabbana Dolce Perfume for Women Eau de Parfum EDP Vapo 75 ml is selected according to new trends and high quality standards. Buy among the many novelties and opportunities you find in the category Dolce & Gabbana Perfumes. Discover Dolce & Gabbana Dolce Perfume for Women Eau d..
Dolce & Gabbana Intense Perfume for Women Eau de Parfum EDP Vapo 25 ml is an exclusive Dolce & Gabbana product.It's selected according to new trends and high quality standards.Buy among the many novelties and opportunities you find in the category Dolce & Gabbana Perfumes.Discover Dolce & Gabbana Intense Perfume for Women Eau de Parfum EDP Vapo 25 mland lots of new offers of eau de parfum and eau de toilette chosen ..
Dolce & Gabbana Light Blue Perfume for Men Eau de Toilette EDT Vapo 125 ml is an exclusive Dolce & Gabbana product. Buy Perfumes Dolce & Gabbana online at the best price. Dolce & Gabbana Light Blue Perfume for Men Eau de Toilette EDT Vapo 125 ml is selected according to new trends and high quality standards. Buy among the many novelties and opportunities you find in the category Dolce & Gabbana Perfumes. 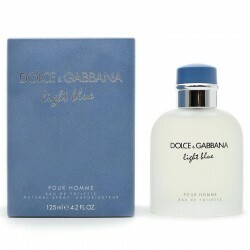 Discover Dolce & Gabbana Light Blue Perfum..
Dolce & Gabbana Light Blue Perfume for Men Eau de Toilette EDT Vapo 40 ml is an exclusive Dolce & Gabbana product. Buy Perfumes Dolce & Gabbana online at the best price. Dolce & Gabbana Light Blue Perfume for Men Eau de Toilette EDT Vapo 40 ml is selected according to new trends and high quality standards. Buy among the many novelties and opportunities you find in the category Dolce & Gabbana Perfumes. 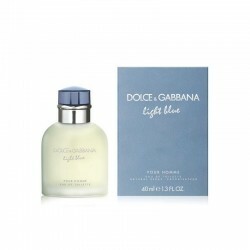 Discover Dolce & Gab..
Dolce & Gabbana Light Blue Perfume for Men Eau de Toilette EDT Vapo 75 ml is an exclusive Dolce & Gabbana product. Buy Perfumes Dolce & Gabbana online at the best price. Dolce & Gabbana Light Blue Perfume for Men Eau de Toilette EDT Vapo 75 ml is selected according to new trends and high quality standards. Buy among the many novelties and opportunities you find in the category Dolce & Gabbana Perfumes. Discover Dolce & Gabbana Light Blue Perfume ..
Dolce & Gabbana Light Blue Perfume for Women Eau de Toilette EDT Vapo 100 ml is an exclusive Dolce & Gabbana product. Buy Perfumes Dolce & Gabbana online at the best price. Dolce & Gabbana Light Blue Perfume for Women Eau de Toilette EDT Vapo 100 ml is selected according to new trends and high quality standards. Buy among the many novelties and opportunities you find in the category Dolce & Gabbana Perfumes. 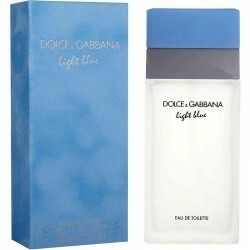 Discover Dolce & Gabbana Light Blue Pe..
Dolce & Gabbana Light Blue Perfume for Women Eau de Toilette EDT Vapo 25 ml is an exclusive Dolce & Gabbana product.It's selected according to new trends and high quality standards.Buy among the many novelties and opportunities you find in the category Dolce & Gabbana Perfumes.Discover Dolce & Gabbana Light Blue Perfume for Women Eau de Toilette EDT Vapo 25 mland lots of new offers of eau de parfum and eau de toilette chosen for yo..
Dolce & Gabbana Light Blue Perfume for Women Eau de Toilette EDT Vapo 50 ml is an exclusive Dolce & Gabbana product. 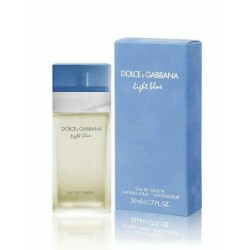 Buy Perfumes Dolce & Gabbana online at the best price. Dolce & Gabbana Light Blue Perfume for Women Eau de Toilette EDT Vapo 50 ml is selected according to new trends and high quality standards. 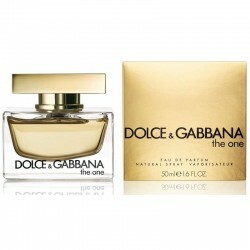 Buy among the many novelties and opportunities you find in the category Dolce & Gabbana Perfumes. Discover Dolce & Gabbana Light Blue Perf..
Dolce & Gabbana Pour Homme Intenso Perfume for Men Eau de Parfum EDP Vapo 125 ml is an exclusive Dolce & Gabbana product. Buy Perfumes Dolce & Gabbana online at the best price. Dolce & Gabbana Pour Homme Intenso Perfume for Men Eau de Parfum EDP Vapo 125 ml is selected according to new trends and high quality standards. Buy among the many novelties and opportunities you find in the category Dolce & Gabbana Perfumes. Discover D..
Dolce & Gabbana Pour Homme Intenso Perfume for Men Eau de Parfum EDP Vapo 40 ml is an exclusive Dolce & Gabbana product. Buy Perfumes Dolce & Gabbana online at the best price. Dolce & Gabbana Pour Homme Intenso Perfume for Men Eau de Parfum EDP Vapo 40 ml is selected according to new trends and high quality standards. Buy among the many novelties and opportunities you find in the category Dolce & Gabbana Perfumes. Discover Dolce & Gabbana Pour Ho..
Dolce & Gabbana Pour Homme Perfume for Men Eau de Toilette EDT Vapo 125 ml is an exclusive Dolce & Gabbana product. Buy Perfumes Dolce & Gabbana online at the best price. Dolce & Gabbana Pour Homme Perfume for Men Eau de Toilette EDT Vapo 125 ml is selected according to new trends and high quality standards. Buy among the many novelties and opportunities you find in the category Dolce & Gabbana Perfumes. 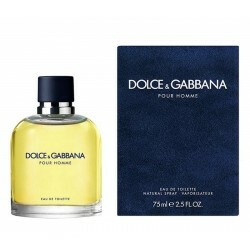 Discover Dolce & Gabbana Pour Homme Perfum..
Dolce & Gabbana Pour Homme Perfume for Men Eau de Toilette EDT Vapo 75 ml is an exclusive Dolce & Gabbana product. Buy Perfumes Dolce & Gabbana online at the best price. Dolce & Gabbana Pour Homme Perfume for Men Eau de Toilette EDT Vapo 75 ml is selected according to new trends and high quality standards. Buy among the many novelties and opportunities you find in the category Dolce & Gabbana Perfumes. Discover Dolce & Gab..
Dolce & Gabbana The One Perfume for Men Eau de Toilette EDT Vapo 100 ml is an exclusive Dolce & Gabbana product.It's selected according to new trends and high quality standards.Buy among the many novelties and opportunities you find in the category Dolce & Gabbana Perfumes.Discover Dolce & Gabbana The One Perfume for Men Eau de Toilette EDT Vapo 100 mland lots of new offers of eau de parfum and eau de toilette chose..
Dolce & Gabbana The One Perfume for Men Eau de Toilette EDT Vapo 50 ml is an exclusive Dolce & Gabbana product.It's selected according to new trends and high quality standards.Buy among the many novelties and opportunities you find in the category Dolce & Gabbana Perfumes.Discover Dolce & Gabbana The One Perfume for Men Eau de Toilette EDT Vapo 50 mland lots of new offers of eau de parfum and eau de toilette chosen for you.Dolce & ..
Dolce & Gabbana The One Perfume for Women Eau de Parfum EDP Vapo 30 ml is an exclusive Dolce & Gabbana product. Buy Perfumes Dolce & Gabbana online at the best price. 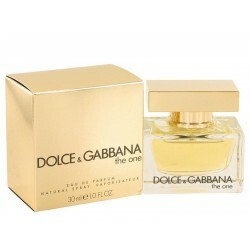 Dolce & Gabbana The One Perfume for Women Eau de Parfum EDP Vapo 30 ml is selected according to new trends and high quality standards. Buy among the many novelties and opportunities you find in the category Dolce & Gabbana Perfumes. Discover Dolce & Gabbana The One Perfume for Women..
Dolce & Gabbana The One Perfume for Women Eau de Parfum EDP Vapo 50 ml is an exclusive Dolce & Gabbana product.It's selected according to new trends and high quality standards.Buy among the many novelties and opportunities you find in the category Dolce & Gabbana Perfumes.Discover Dolce & Gabbana The One Perfume for Women Eau de Parfum EDP Vapo 50 mland lots of new offers of eau de parfum and eau de toilette chosen for you.Dolce & ..
Dolce & Gabbana The One Perfume for Women Eau de Parfum EDP Vapo 75 ml is an exclusive Dolce & Gabbana product.It's selected according to new trends and high quality standards.Buy among the many novelties and opportunities you find in the category Dolce & Gabbana Perfumes.Discover Dolce & Gabbana The One Perfume for Women Eau de Parfum EDP Vapo 75 mland lots of new offers of eau de parfum and eau de toilette chosen for you.Dolce & ..
Dolce & Gabbana The Only One Perfume for Women Eau de Parfum EDP 100 ml is an exclusive Dolce & Gabbana product. Buy Perfumes Dolce & Gabbana online at the best price. Dolce & Gabbana The Only One Perfume for Women Eau de Parfum EDP 100 ml is selected according to new trends and high quality standards. Buy among the many novelties and opportunities you find in the category Dolce & Gabbana Perfumes. 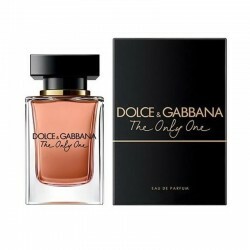 Discover Dolce & Gabbana The Only One Perfume fo..
Dolce & Gabbana The Only One Perfume for Women Eau de Parfum EDP 30 ml is an exclusive Dolce & Gabbana product. Buy Perfumes Dolce & Gabbana online at the best price. Dolce & Gabbana The Only One Perfume for Women Eau de Parfum EDP 30 ml is selected according to new trends and high quality standards. 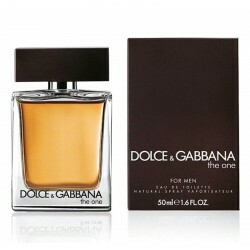 Buy among the many novelties and opportunities you find in the category Dolce & Gabbana Perfumes. 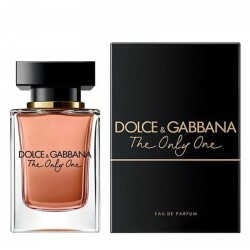 Discover Dolce & Gabbana The Only One Perfume for ..
Dolce & Gabbana The Only One Perfume for Women Eau de Parfum EDP 50 ml is an exclusive Dolce & Gabbana product. Buy Perfumes Dolce & Gabbana online at the best price. Dolce & Gabbana The Only One Perfume for Women Eau de Parfum EDP 50 ml is selected according to new trends and high quality standards. Buy among the many novelties and opportunities you find in the category Dolce & Gabbana Perfumes. Discover Dolce & Gabbana The Only One Perfume for ..